Welcome to Home Helpers serving Pinellas and Pacos Counties. We are North America`s #1 source of home care services. Home Helpers knows as we get older, everyday life becomes increasing challenging and a helpful hand can mean a great deal. 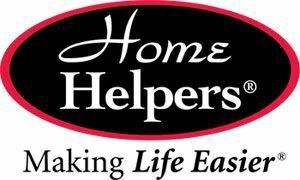 Home Helpers provides non-medical care....that extra help and companionship to people who wish to live independently. Our services are designed for those who need and deserve assistance. We are there when you need us. Today, many families are simply not able to provide the day-to-day assistance needed by their loved ones. Along with daily assistance, it`s also vitally important to provide companionship to seniors living alone. But quite often, work, personal obligations and living long distances can make it difficult, if not impossible, for family and friends to be there when needed. That`s when Home Helpers can lend a hand. We fit your schedule by offering non-medical care as needed, from just a few hours per day up to 24 hours per day. Our services can be tailored to fit any need. No contracts to sign, no minimum hours required. What can Home Helpers do? You can depend on Home Helpers to be there whenever you need us for : companionship, assistance with meals, light housekeeping, laundry, transportation, errand services ....and so much more! Our experienced, dependable caregivers truly enjoy helping others. They are trustworthy, compassionate people who have been carefully selected and thoroughly screened. All caregivers are direct employees of Home Helpers, not subcontractors. And, with Direct Link, our in-home 24-hour emergency monitoring system, help is just a button away. The two-way communication system contacts, police, fire, medical or family services as needed. With Direct LInk, you and your loved ones will enjoy peace of mind. The cost is very affordable....only about a dollar a day. No equipment to buy, no long-term commitments or contracts We`re there when you need us for as long as you need us.....For a Few Hours....or A Whole Day...Once A Week...Or Every Day... Call 727 942-2539 to schedule a FREE In-Home Consultation Today!